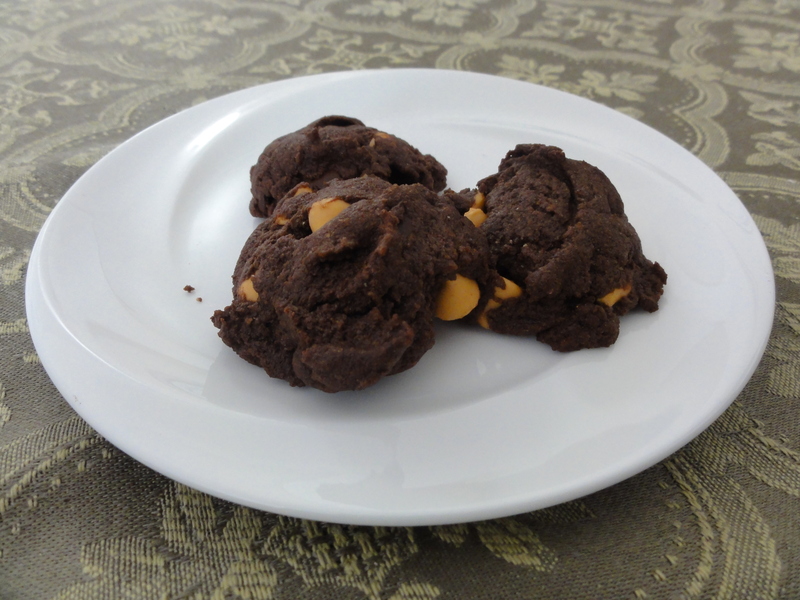 This week’s recipe is courtesy of Stephanie at Back for Seconds, where her Double Chocolate Butterscotch Cookies are a recent addition to a recipe collection packed with great ideas and some amazing photographs that will capture any chocolate lover’s attention. You should definitely browse through her recipes, just give yourself plenty of time! In looking around recently for new recipes to try I was clued in to the secret about cornstarch producing soft and chewy cookies, and that trick shows up here just as it did with my favorite cookies from last time. 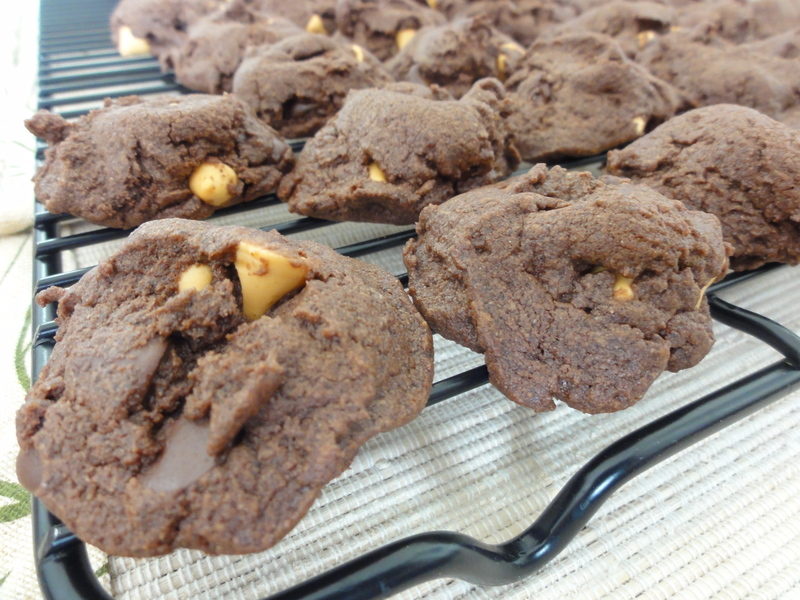 The caramel flavor from the butterscotch paired up with lots of chocolate makes for a delicious combination in these cookies that are also particularly quick to make. 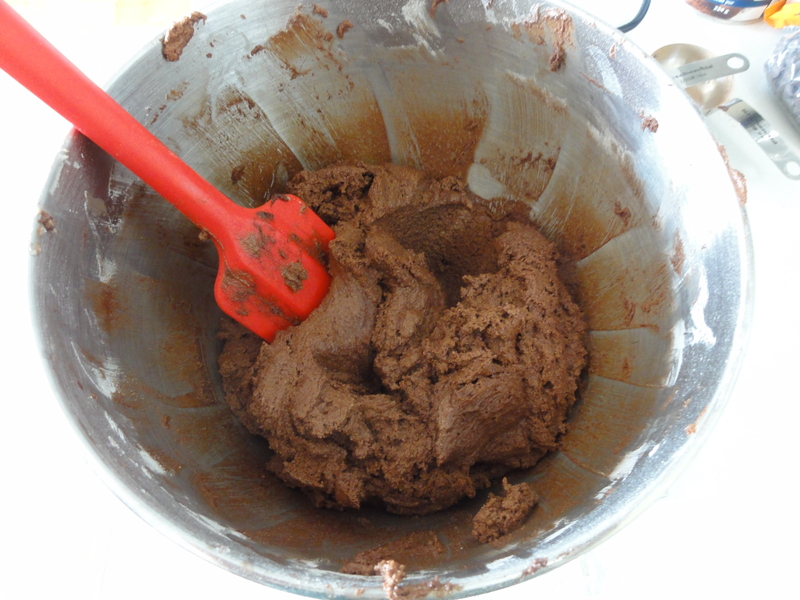 In a large bowl cream together the butter, both sugars, and the cocoa powder. Start on low speed and then beat on medium until fluffy, about 3-5 minutes. Mix in eggs one at a time, blending until well combined until low. 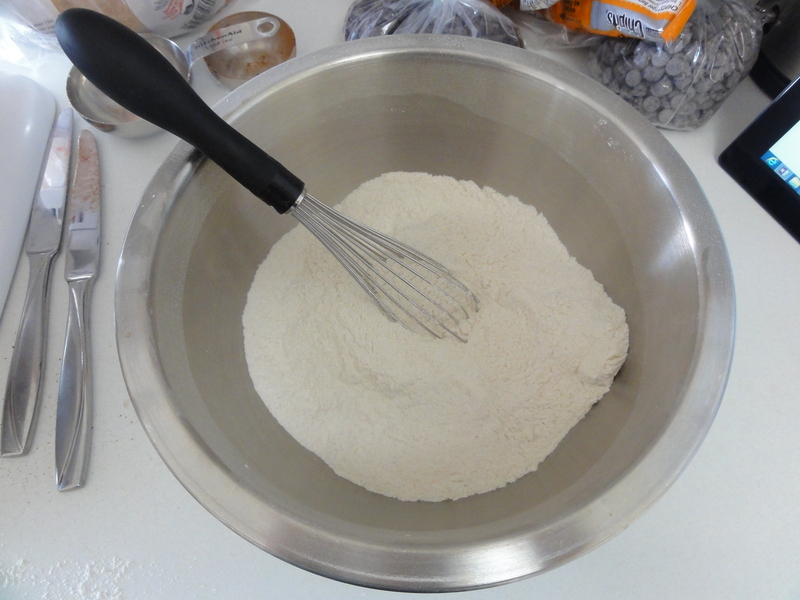 In a medium bowl lightly whisk together the flour, salt, baking soda, and corn starch. Slowly blend dry ingredients into wet until well combined, at most a quarter of the dry between blending until well combined. 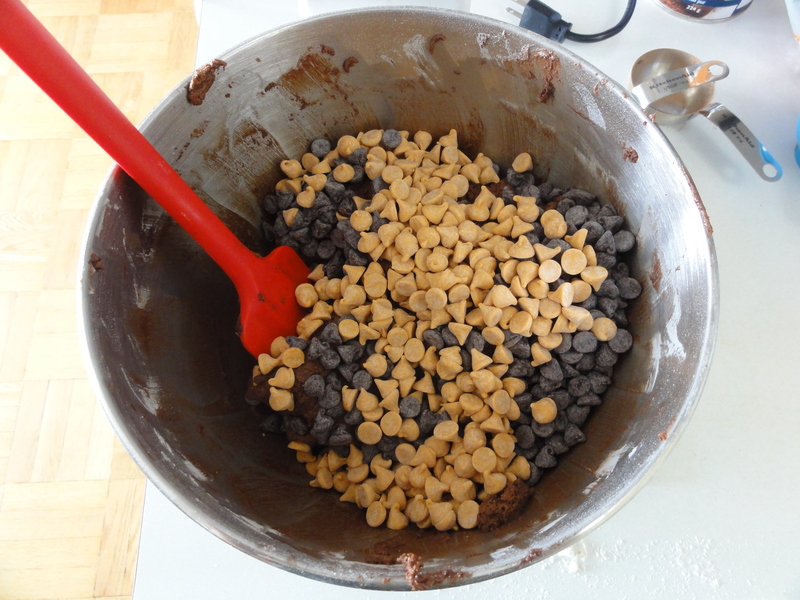 Fold in chocolate and butterscotch chips. 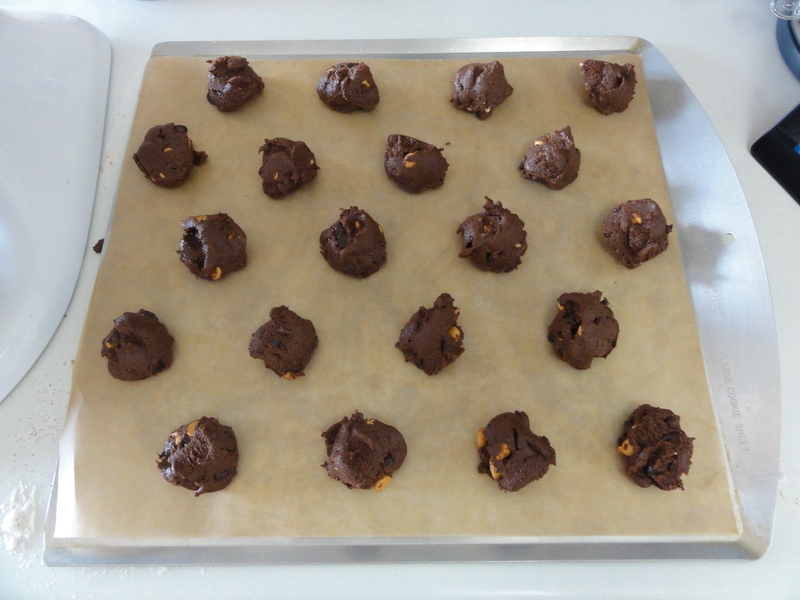 Bake for 7 minutes, the tops will be dry and puffy when done and the chocolate and butterscotch chips will be melting over your fingers. Let cool for 3-5 minutes on the trays and then transfer to wire racks. 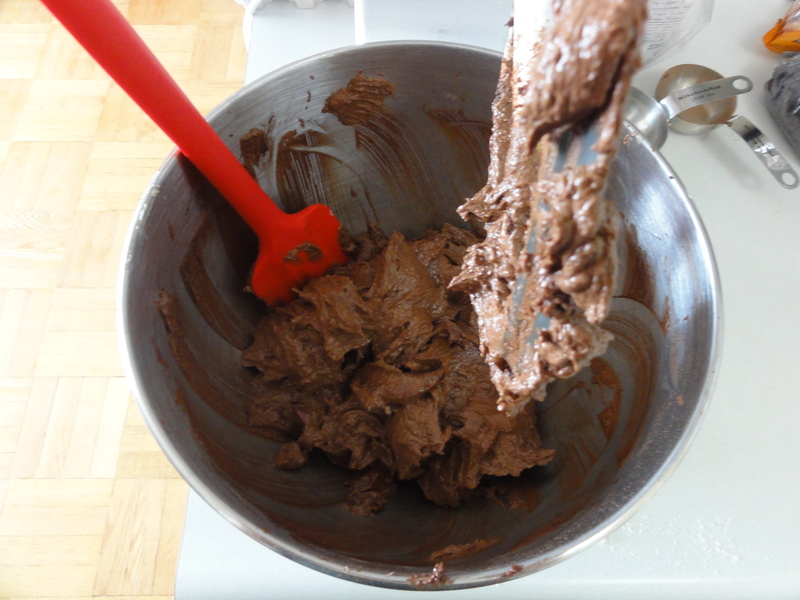 The cocoa powder, while doubling your chocolate quotient (and thus totally worth it), makes it hard to know if the cookies are done because the “edges are golden brown” trick isn’t much good to you. I was a little concerned about my first sheet because after seven minutes in the oven and about four minutes on the tray, I found that they were a little fragile when transferring them to a rack (fortunately no cookies were harmed in this process). After giving them a few more minutes to cool on the rack though they set up fine and held together well. Straight out of the oven the tops should be dry and puffy, maybe a little cracked, and if that’s what you get you’re good, and there’s no need to keep them in the oven any longer. 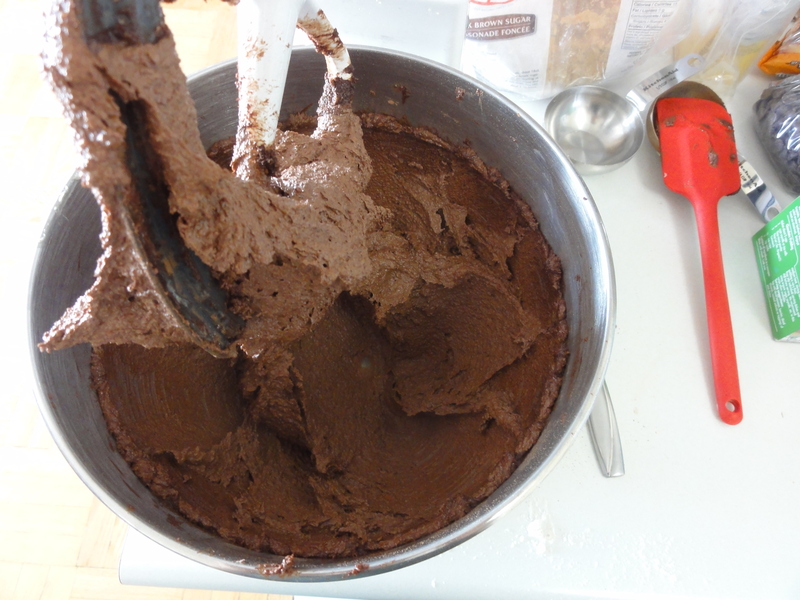 I’m not used to beating cocoa powder with sugar and butter (and thus wound up dusting myself with cocoa powder when I turned the mixer on) but it worked great here and the resulting pre-dough was definitely worth tasting for quality control purposes. Due to the whole cup of butter in there I found that beating on low speed until the mixer got control of things was helpful, and then the speed went up to medium to get to a light and fluffy consistency. Blending in the eggs will result in a relatively wet mixture, but that’s okay as the flour will take care of things shortly. 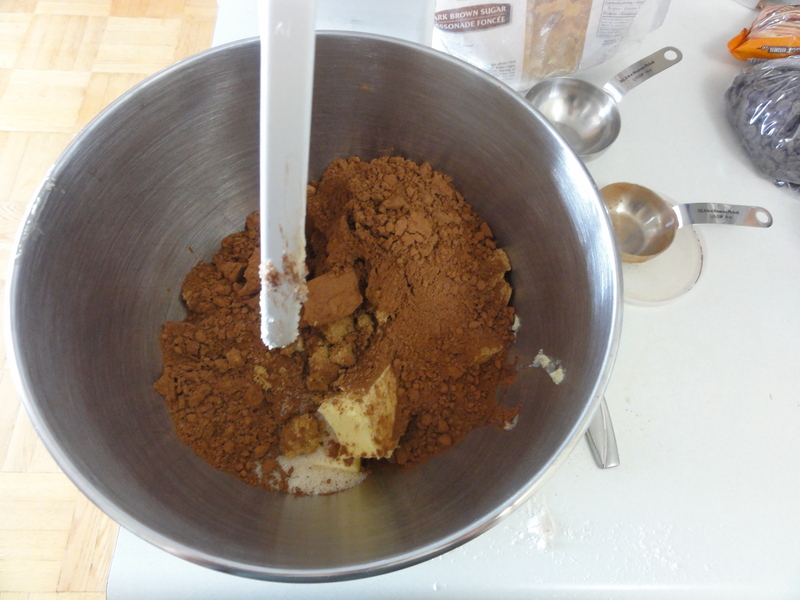 As usual I like to blend the dry ingredients together first just to distribute the teaspoon-sized ingredients as thoroughly as possible. There’s a lot of dough going in the bowl at this point, so using a spatula and putting my arms to work might have been a better idea than keeping the mixer going, even on low. 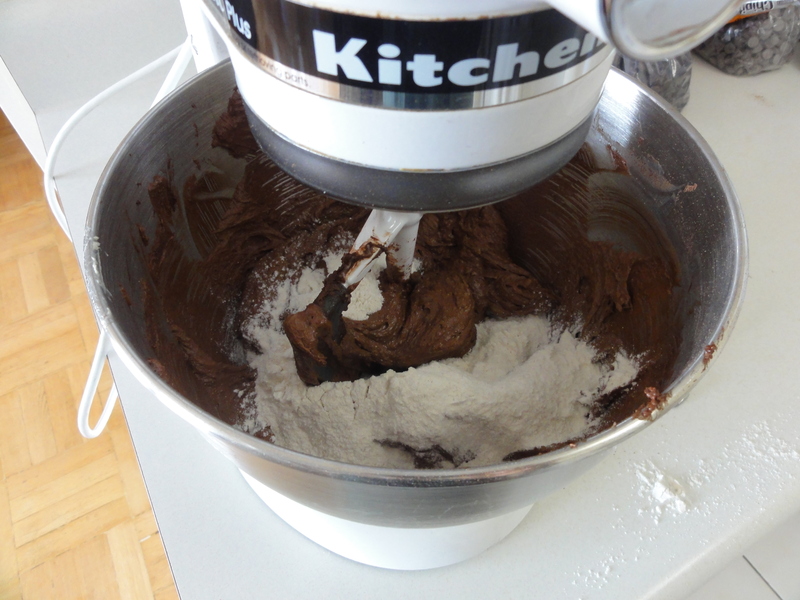 Either way, blend in the dry ingredients in small amounts at a time. As a side note, if you leave the mixer running and put too much flour in, it will likely go in every direction, especially all over you. When all the flour has been blended in the dough will be fairly fluffy and may seem a bit dry, but that’s not a problem and it makes spooning out the dough onto the baking sheets very easy. 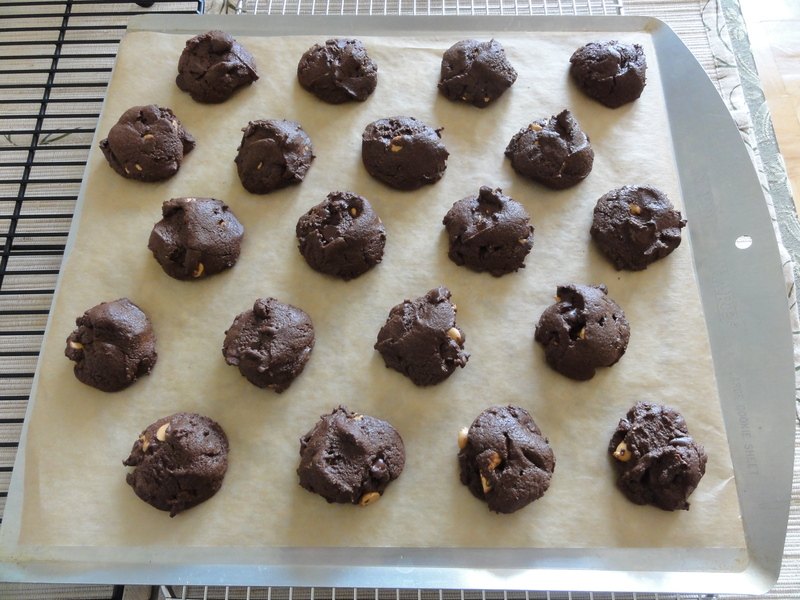 If you’re precise with your tablespoonfuls you can just hit 80 cookies with the batch, resulting in a lot of small cookies, and several small cookies are less detrimental to your health than a few larger cookies (or at least that’s what I choose to believe). At only seven minutes in the oven, the production line of scooping dough, baking cookies, and cooling cookies progresses along fairly quickly.